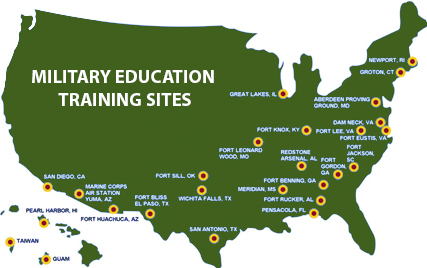 Our Military Education program offers a virtually unlimited list of capabilities, aided by a vast network which allows us to collaborate with partners in providing solutions for our clients. We partner with large businesses, small businesses and other social economic organizations that are HUBzone, 8(a), Woman-Owned Small Business, Disadvantaged, and Service Disabled Veteran Owned. When it comes to providing solutions, we offer our customers a powerful resource and a recipe for success.